Wrap it up is based on the idea of sections fitting into one another. This type of journal – Wrap it Up encompasses a lot of ground. 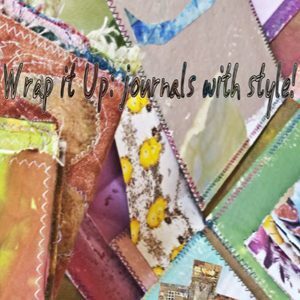 You can use recycled books to create a journal, make a journal from watercolor paper that is neat and concise or create one that is fun and funky from using mixed surfaces. There is a portfolio Wrap it Up to showcase your artwork and visual ideas in an interesting package. 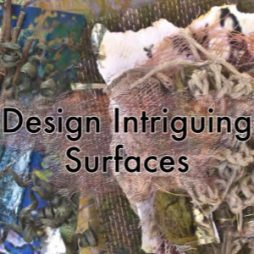 Take the opportunity to peruse mixed surfaces using papers and fabrics along with a journal that makes a box. You will see how to put the layers of the journals together to keep them thin and compact or bind them to easily stuff a plethora of items inside. A chapter on added elements assists you in adding intriguing spaces anywhere you desire. 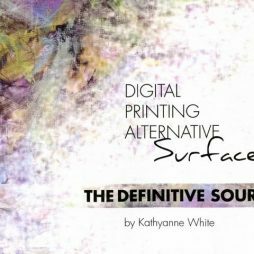 This ebook is about creating journals for the fun of it with tons of ideas to mold your own remarkable version.